Each member of the Morrisburg Plumbing & Heating team is carefully selected and trained to provide reliable, top quality service in a prompt and friendly manner. 24-hour Emergency Service, when you have a problem that just can't wait to normal business hours. At Morrisburg Plumbing & Heating Ltd, we take care of your plumbing and heating needs as if your home were our home. 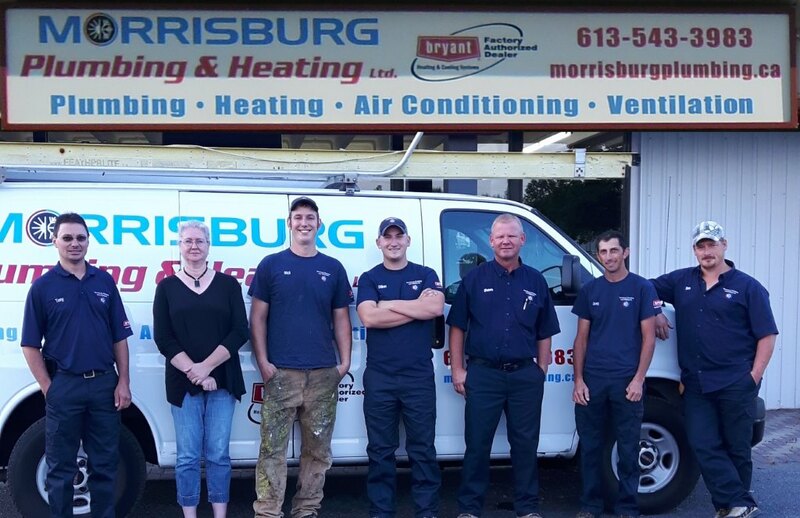 The team at Morrisburg Plumbing & Heating are from the Morrisburg area, so we live where we work and we make sure we do a good job. The experts at Morrisburg Plumbing & Heating have years of experience in the residential plumbing, heating and air conditioning business. We can provide everything your home needs to get you through the entire year — whatever the season or weather.